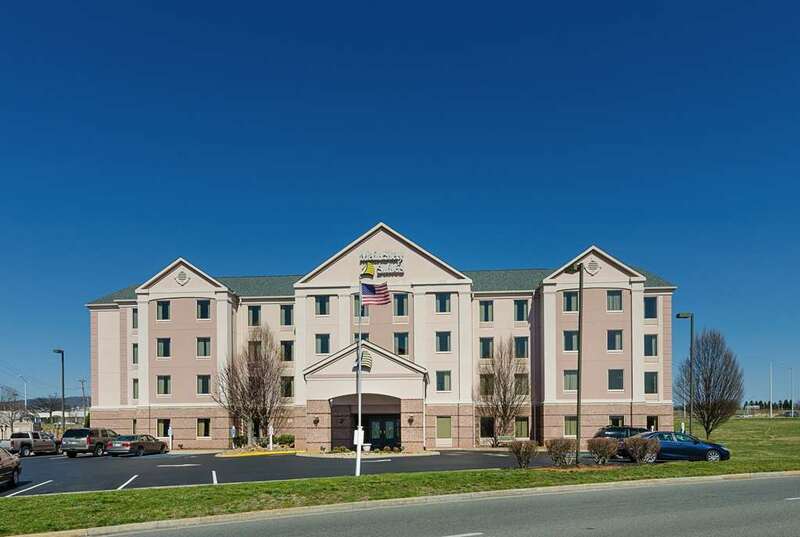 Live like home at the MainStay Suites Airport hotel in Roanoke, VA. Nearby attractions include Historic Downtown Roanoke, Virginia Tech University, Blue Ridge Parkway, Hollins University, Berglund Center, Valley View Mall and the Roanoke-Blacksburg Regional Airport to which we provide free airport transportation. Our residential-style suites include a fully-equipped kitchen, TV, safe, hair dryer, coffee maker, desk, microwave, refrigerator, iron and ironing board. Plus, take advantage of our free WiFi and free weekday newspaper. Also, earn rewards including free nights and gift cards with our Choice Privileges Rewards program.